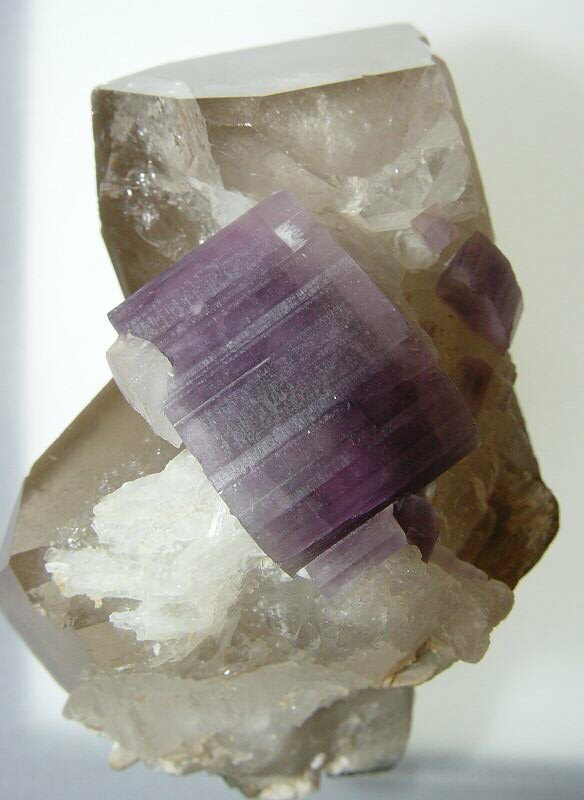 Comments: Purple crystal of fluorapatite on slightly smoky quartz crystals. Former Dr. E.E. David and Houston Museum collections. Location: Pech, Kunar Province, Nuristan, Afghanistan. Scale: Crystal size 3.0 x 2.1 x 1.7 cm.